Entertainment in the 21st Century. We need a petition to ban horse races. I know what goes on behind the scenes and what happens to the losers after they lose AND the winner. It is just another form of greed and the horses pay the price. Any form of abuse of animals needs to be banned. WE NEED A PETITION. Has there ever been a book written about the horses who die at the racetracks? Maybe there should be so people see the carnage that happens to the horses. Tonya, Jo Anne Normile, who founded CANTER, wrote a book about her experiences In the racing industry. Her book is titled “Saving Baby, How One Woman’s Love For a Racehorse Led to Her Redemption”. It is a true, and heartbreaking, story of the tragic breakdown and death of her beloved TB racehorse, Baby. A portion of the proceeds from the book go to Jo Anne’s newest charity…Saving Baby Equine Charity. I have read the book and I highly recommend it to anyone who wants to know the truth about racing. Rob what is your blog? Yes!!! And it’s awesome. I buy it and give them away to anyone who will read it. “Saving baby”. Look it up on Facebook and amazon! 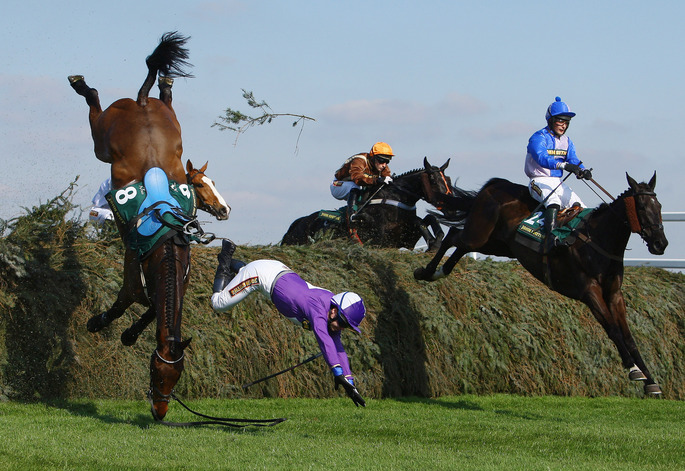 It is beyond belief that hurdle and steeplechase racing has not been banned.